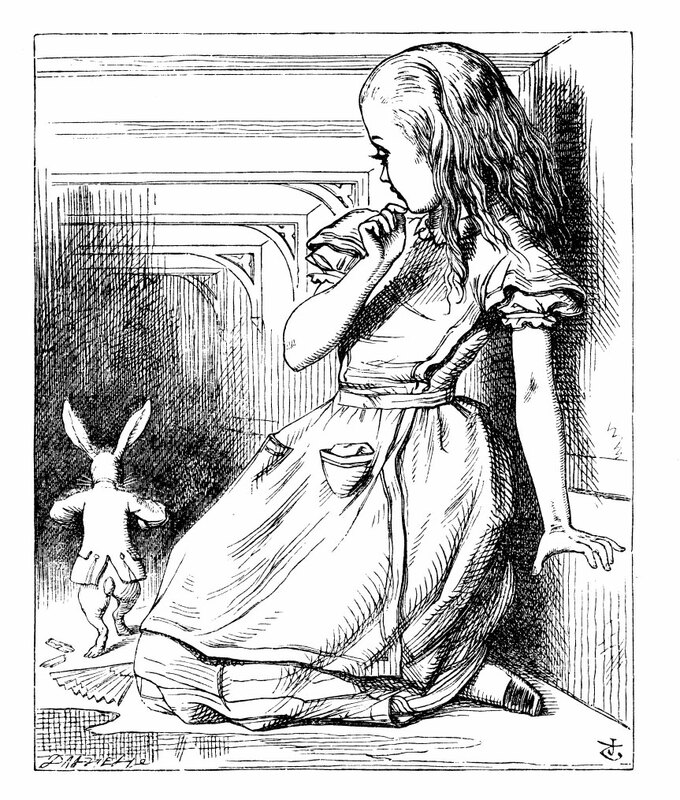 “Alice started to her feet, for it flashed across her mind that she had never seen a rabbit with either a waistcoat or a watch to take out of it, and, with burning curiosity, she ran across the field after it, and was just in time to see it pop down a large rabbit hole under the hedge. They say curiosity may have killed the cat, but we mustn’t let that stop us. If Alice had been more cautious, she would have never found Wonderland. As a matter of fact, I would venture to say it is a necessary aspect of every worthwhile adventure. All great discoveries begin with a tremendous sense of curiosity. addicted to research or enquiry. One would hope an inquisitive nature was something we came by naturally, and in our childhood it might have been. But whether it is a result of the technology age, or merely because we consider ourselves to be quite grown up, it seems to me that having a deep curiosity about the world is something we must now practice in order to achieve. Here are some of my thoughts on how we might cultivate this trait. The list is by no means exhaustive, so I’d love to hear your contributions. Actively Observe the Surrounding Landscape. It can be easy to rush by without giving a thought to the scenery. Don’t wear blinders. Consider the changing colours of the sky above you. Be still long enough to hear a cricket singing. Notice everything about the hillsides and the flat terrains that mark your path. The Lord himself is often revealed in His creation. Read, Read, Read. Absorb every good book you can get your hands on. Escape into the pages, and allow yourself to be drawn to the characters. If you’re not in the habit of reading for pleasure, search for one book that really intrigues you, and then let it grab hold of you the minute you open its cover. Ask hundreds of Questions. If you really want to be addicted to enquiry, as the definition suggests, you must be constantly asking questions. Find new words in the dictionary. Discuss perplexing ideas with your friends and mentors. Choose a subject of interest, and do your own research. Never be afraid to look for the answers. Remember: Human Beings Are Fascinating. Every person you encounter has a remarkable story tucked away inside them. Invest your time in listening, observing, and discovering their unique qualities. If you are truly interested in knowing people deeply, then you may be surprised at the interesting characters that become a part of your tribe. The World is a Strange & Wonderful Place. You don’t have to go stumbling down rabbit holes to uncover a world filled with peculiarities. The world we live in is already brimming with oddities and things we can’t explain. It is breathtaking, untamed, and in a constant state of change. All we have to do is pause and take notice. but I've changed a few times since then."